This was The Charity Shop Art Appreciation Society’s very first stall! 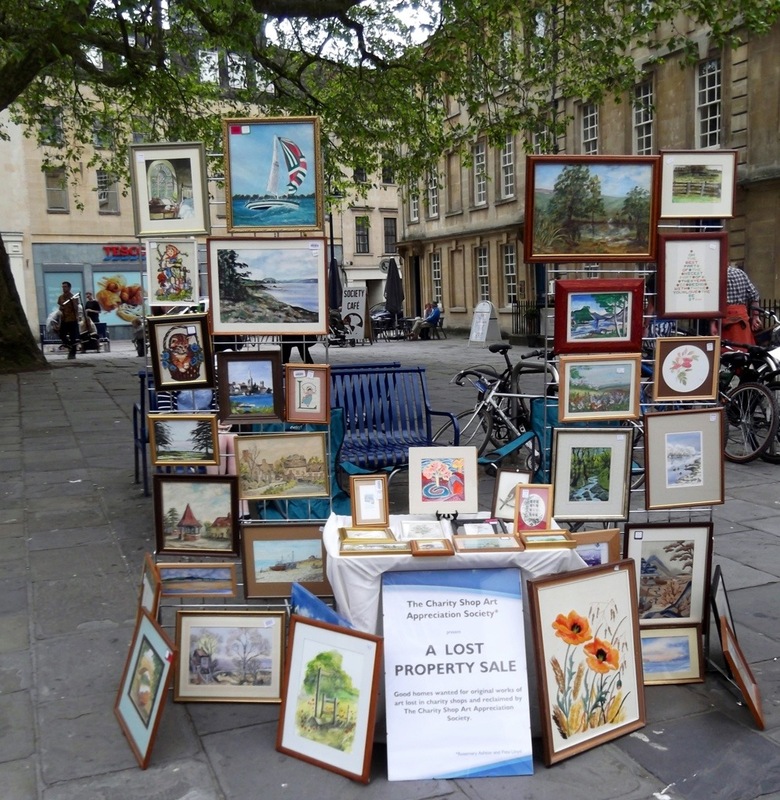 It took place at the Bath Art Fair on Sunday 2nd June as part of Fringe Arts Bath 2013. Being our first stall, we had absolutely no idea how it would go or whether or not we would be able to sell our stock. Luckily it was a lovely, sunny Sunday and Bath was buzzing. There was a lot of street theatre in our immediate vicinity and a general sense of well being all round. It wasn’t long before we had our first sale and then a steady stream of people interested in our art and what we were trying to do. We sold nearly all our stock – even the art that we had the most doubts about – and we were thrilled. Not only did it mean we could start all over again but we had found new and loving homes for our Charity Shop Art. So glad your foray into stalling out went so well! and sure there will be a lot more to come.